2 months before the first flight and more than 1 year before the EIS, at Honeywell plant in Phoenix, the APU Maintainability Demonstration was held. 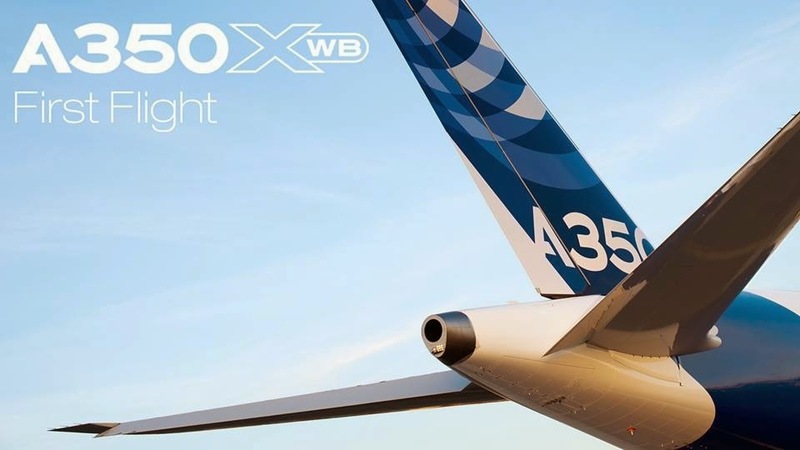 Maturity, adequate readiness and high levels of operability are key for A350 XWB customers at entry into service. The APU provides electrical and pneumatic power for main engine start, and environmental control systems, both on the ground and in flight. 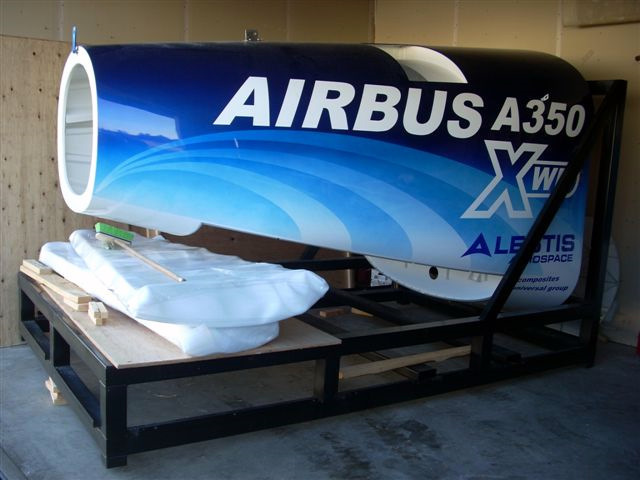 So it is key to making the aircraft more flexible and independent of external power sources. The HGT1700, at 1700 shaft horsepower (SHP), is the largest APU Honeywell has ever developed. It features variable speed during ground operation which reduces fuel burn by up to 10%, a new hydraulic bleed valve for improved reliability, an improved combustor to reduce clogging and improve field durability, and new materials to reduce weight. The engine weighs less but provides more power, allowing it a 13% power-to-weight improvement over Boeing 777 APUs. A starter generator system is designed into the new APU, saving weight and simplifying design while providing electrical power for the aircraft’s system at altitudes of up to 43,100 feet. 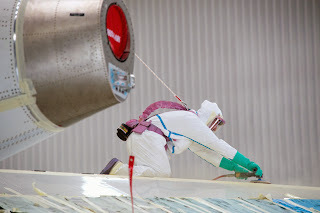 The Honeywell facility in Phoenix integrates the Auxiliary Power System, comprised of the APU, its controllers, and its Installation Kit composed of the Air Intake, Suspension System and Exhaust Muffler. The APU maintainability demonstration was completed by demonstrating the ability to remove and reinstall the replaceable units of the APS. The installation procedures were validated, as well as manpower, skills and hand tool requirements. For such purpose, the review was performed with the same equipment standards as the ones already installed on MSN001. A full scale Section 19.1 manufactured by Alestis in Spain was used to simulate real aircraft environment. The workshop was attended by different functions of Airbus and Honeywell (DO, Airlines Operations, Aircraft Operability, Customer Services) and also by A350 XWB customer representatives of Qatar Airways and Finnair members of the A350 development team.